You are currently browsing the category archive for the ‘Parade of Ugly Plants’ category. These are _hideous, terrible, so unnecessary___ . I can’t finish, I need to go barf now. I get a big kick out of being a “plant lady,” going from office to office around Albuquerque, caring for the plants in my small business, Good to Grow. I like eavesdropping on other people’s office politics, but not being a part of them. I like that the plants don’t talk back. 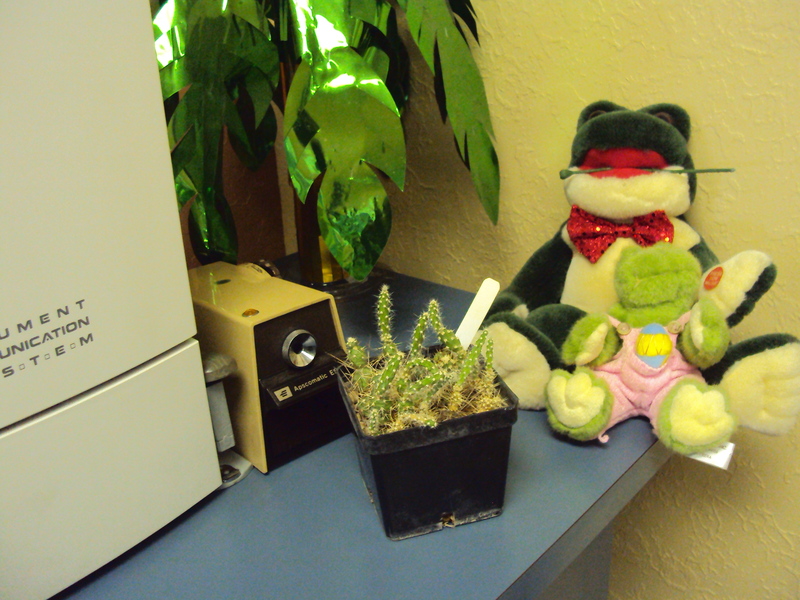 And I like knowing that I’m helping brighten offices around town – both with the plants and with my sunny disposition. One thing I’ve never understood, however, is why people would bring plants from home into the office if they’re not going to care for them. Maybe they intend to, but somehow the plant starts looking like a fax machine. Or maybe they think the plant can somehow fend for itself. Perhaps they think I’m going to care for the plants for them. I just don’t know, but it happens all over town. If they expected me to care for them, they must be disappointed! I stick with the ones I’m contracted to care for, thank you very much! 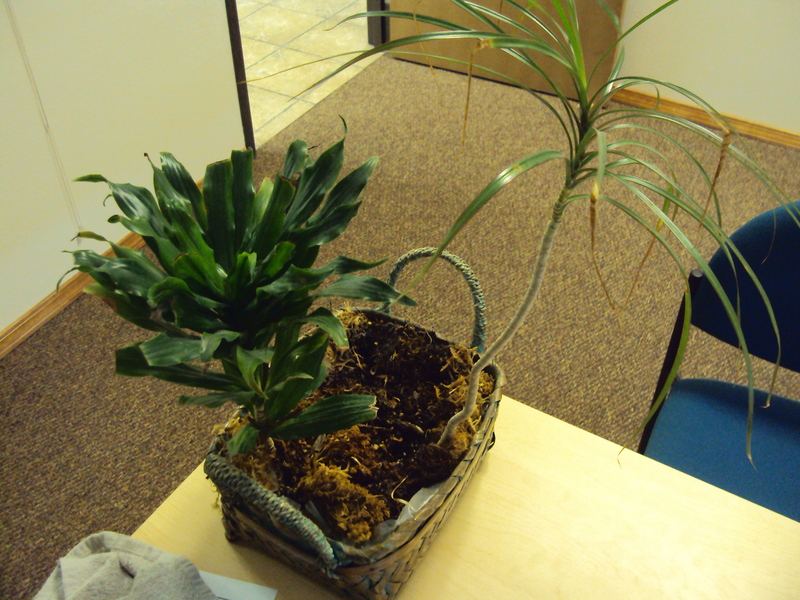 Sometimes I make exceptions when an employee gets a plant as a gift and asks me to care for it. But normally I don’t go around volunteering to take care of something that belongs to someone else. Over the last few weeks, I’ve been thinking about these neglected plants a lot. I’ve already tried talking to the employees, trying to guilt them into doing a better job, but it hasn’t helped. So, I decided to secretly snap photos and create a hall of shame. I won’t call out the bad plant owners or where they work (I don’t want to humiliate anyone! 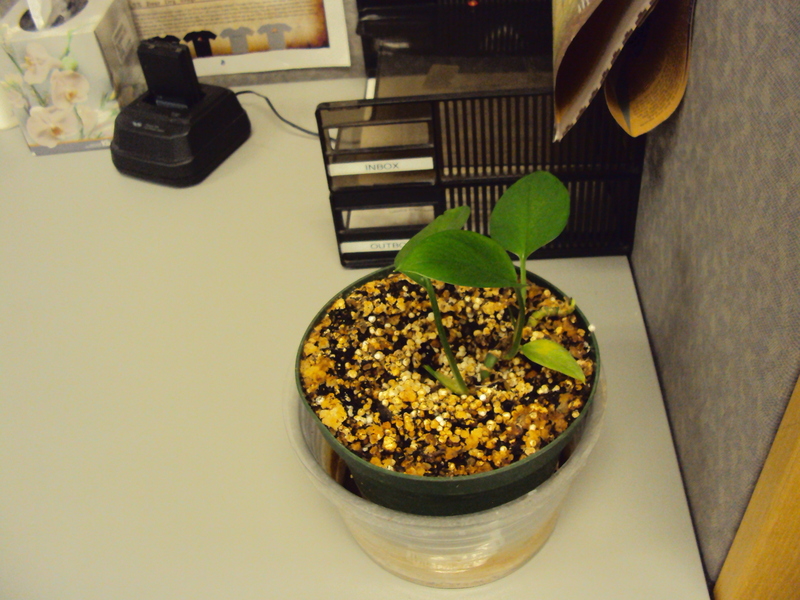 ), but hopefully the photos can serve as a lesson in how not to treat plants. This poor little Palm is mostly crunchy. I give it about 2 more weeks before all the fronds are crunchy. There’s no way it can survive in a pot that small unless the owner waters it often, like every other day or so. And she hasn’t been doing that, hence its mostly crunchy status. 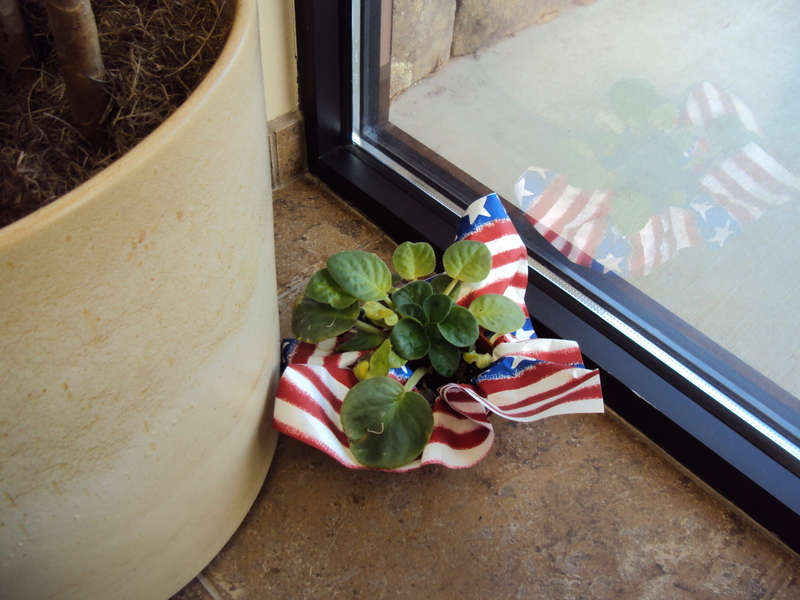 This African Violet is on death’s doorstep. The owner of this plant actually used to take care of it pretty well, but inexplicably a few months ago, she put it on the floor near the front door. She still waters it from time to time – usually when I come in to water the other plants – but she’s clearly prepared to let it go or else she wouldn’t have moved it away from her desk. Honestly, I don’t even know how this Dragon tree has survived for so long. It lives in only an inch or two of dirt, and gets no sunlight. Poor skinny little thing! 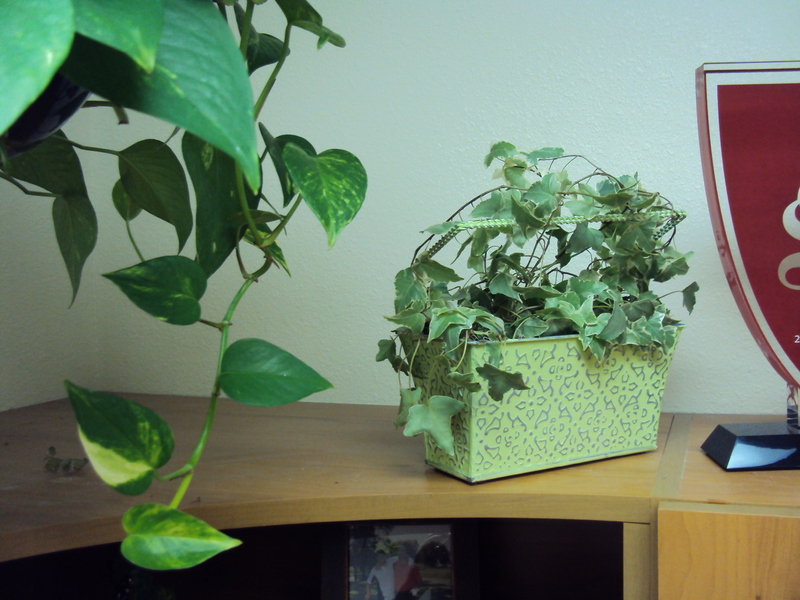 This Pothos looks this sad and deflated each week when I visit the office. If the employee sees me, she says, “Oh shoot, I need to water my plant,” and then she doesn’t. It must survive on water fumes. This poor cactus. It gets no sunlight and it’s planted in what appears to be red clay. This is another one that I actually felt sorry for, because it clearly wants to grow, so every now and again, I’d water it. After some time, I decided that it had been abandoned. So one day I went so far as to try and give it to an employee who does love plants, only to find out the actual owner still assumes responsibility for it. “What are you doing with my plant?” she demanded as she snatched it out of my hands. “It’s doing great.” Oops! Can’t save ’em all! This poor Pothos is hanging on for dear life. I have no idea what is up with that soil – it looks like granola. 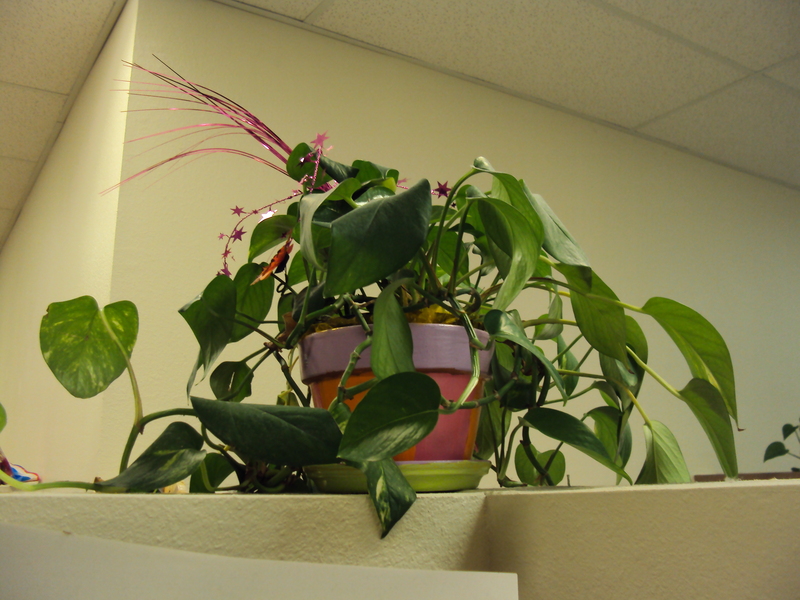 It gets zero light – there are no windows in this office, but usually Pothos do fine with fluorescent lighting. It used to be a much bigger plant but it got overwatered, then underwatered, many times over. I guess I should take it as a good sign that he cut back the dead vines – maybe it’ll make a comeback! Oh the dreaded florist plant gift basket. I’ve written before about why I am not a fan of these. One look at these Dracaena plants, and you should be able to see why (is that soil or bear poop?). This employee keeps the basket on his desk – don’t you think his clients are mighty impressed when they sit down? These plants were never intended to remain in the florist basket – they need their own space. See the brown tips on the skinny Dragon tree? That’s (mostly) from too much water, which is mindblowing when you think about how little water that small basket can hold – I’ll bet he pours out his water or coffee into the pot every day before leaving the office. What’s wrong with this little Ivy? Nothing yet. But only because of my intervention. This was a gift to a loan officer at one of my mortgage clients. As far as I know, she likes plants, but she doesn’t know what to do with them. She put this on the top shelf in her office. That’s like the kiss of death – unless you’re dedicated, you’re not going to climb up every few days to water that plant. I use a ladder to reach the Pothos hanging next to it. So while I’m up there, I water it. It’s in a teensy grower’s pot inside that decorative container – it’s not going to be able to survive a pot that small for long. It physically can’t hold enough water on a weekly basis for the plant to survive (I visit the office once a week to water the rest of the plants). I keep asking her to take it home and repot it, but so far, no luck. Sometimes I just want to steal it! So what about you? 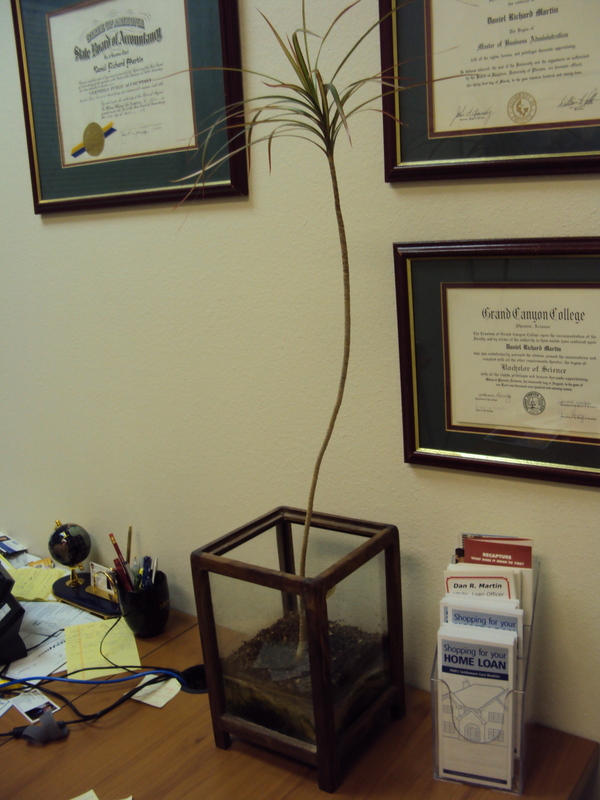 Are you guilty of bringing a plant into your office, then neglecting it? Why? 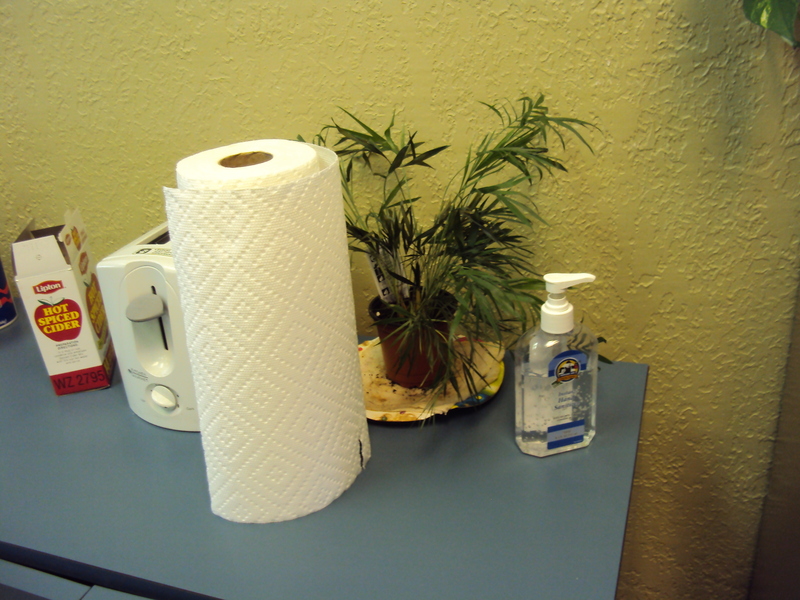 Or do you secretly care for a coworker’s plant that you feel sorry for? I would love to find some reasonable explanation on why this happens over and over so if you know, I’m all ears! I’ll be back tomorrow, Thursday, with a special 100th post edition of Good to Grow (yay – 100 posts), and then back again on Friday with a new edition of Ask the Experts. I hope you’ll join me! Until then, happy indoor gardening everyone! Don’t forget to water!